To Die For Fine Foods (that’s me!) 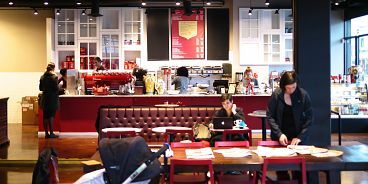 is joining forces with Caffè Artigiano for a caffeine-fuelled event on Saturday, June 27. 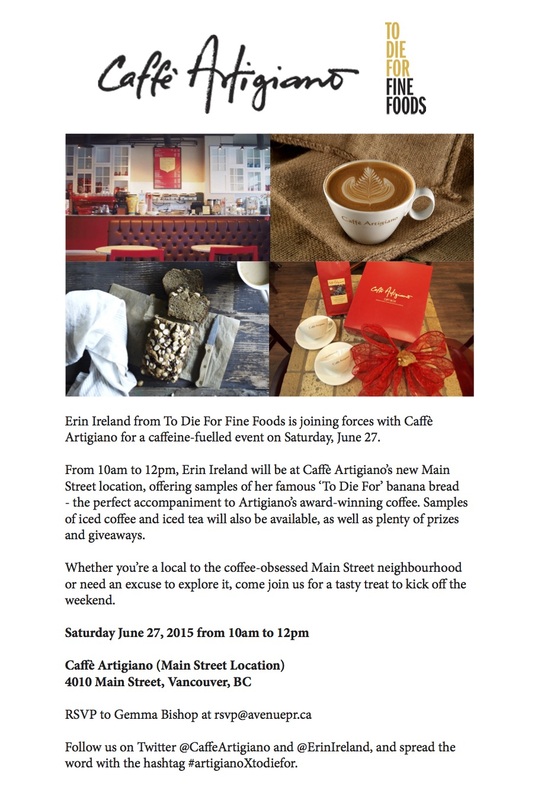 From 11am to 1pm, we’ll be at Caffè Artigiano’s spacious new Main Street location, offering samples of ‘To Die For’ banana bread – the perfect accompaniment to Artigiano’s award-winning coffee. Samples of iced coffee and iced tea will also be available, as well as plenty of prizes and giveaways. Whether you’re a local to the coffee-obsessed Main Street neighbourhood or need an excuse to explore it, come join us for a tasty treat to kick off the weekend. Follow us on Twitter @CaffeArtigiano and @ErinIreland, and spread the word with the hashtag #artigianoXtodiefor.